SingleGrain is a leading a digital marketing agency based in Los Angeles with offices in San Francisco and New York. 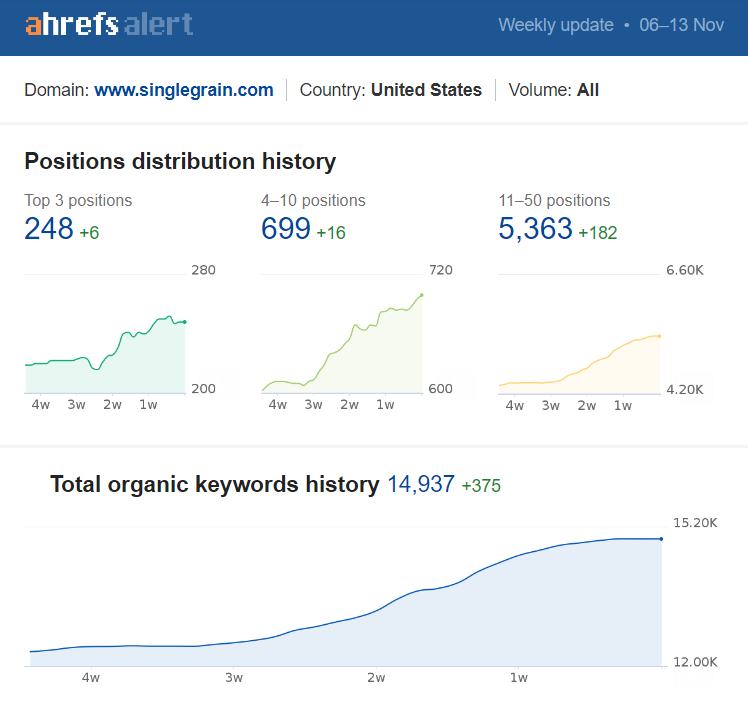 I worked with SingleGrain to boost their organic traffic and engagement to their content using link building. Researching outreach prospects to promote their content. Building relationships with fellow bloggers to gain links and shares. Identifying branded and purchase intent keywords. Mapping content to those keywords and suggesting new content topics. Conducting complete content and technical audits. Identifying and Disavowing spammy backlinks. Utilizing low traffic and high link posts to boost traffic to other prominent posts. Consistently built 30-40 backlinks from new referring domains each month. Got featured content, mentions and links from sites like Convince & Convert, Asana Blog, Technology Advice and Big Commerce. As a result of building relationships we consistently published guest posts from prominent bloggers. I was able to rank content on top 10 positions for keywords like: digital marketing agency, marketing funnel, SEO techniques, Facebook video chat, Facebook retargeting and many many more.